The Leet Street Bridge is a closed Pratt through truss over State Route 65 and railroad tracks in Leetsdale, Pennsylvania. It features an unusual Z section in the hip panel floor beam hangers and bottom chords. The bridge was constructed in 1886 by the Morse Bridge Company of Youngstown, Ohio as Bridge No. 20 of the Pittsburgh, Youngstown & Ashtabula Railroad at Lawrence Junction, Pennsylvania. 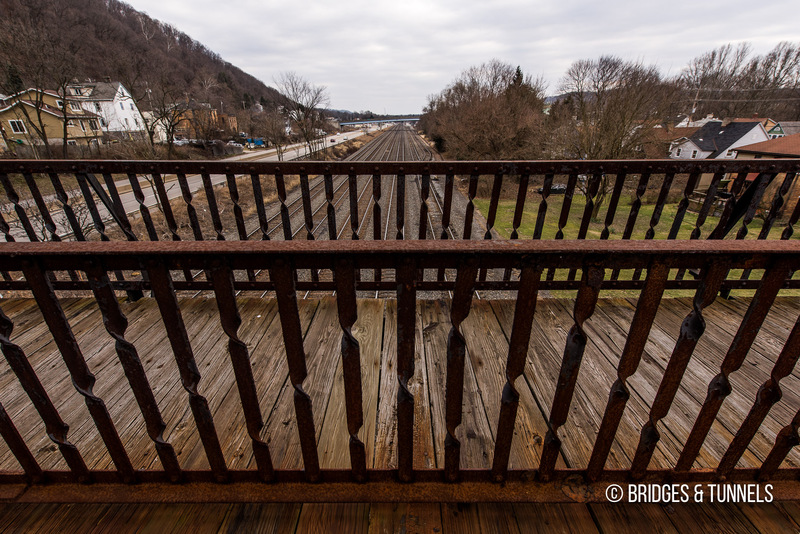 The bridge was relocated in 1904 to Leetsdale where it was widened by the Pittsburgh Steel Construction Company to accommodate a roadway over the Pennsylvania Railroad. A concrete beam girder bridge was added to the northeastern approach in 1946 to accommodate the four-lane Ohio River Boulevard (State Route 65). It was modernized in 1985 with new railings and bridge deck. Cherry, Bobby. 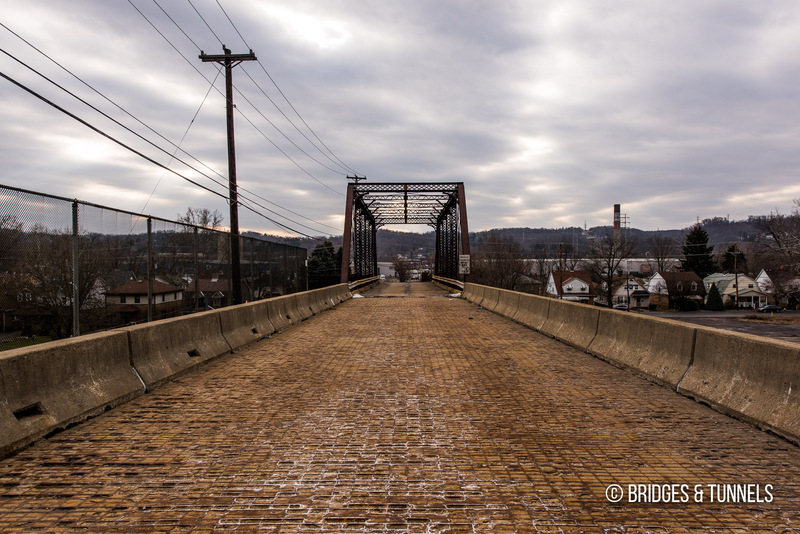 “Work slated to begin on Leet Street Bridge.” TribLive, 17 Oct. 2012. Dudkiewicz, Larissa. “Leet Street Bridge Closes Indefinitely.” Patch, 2 Oct. 2013. Barron, Joanne. 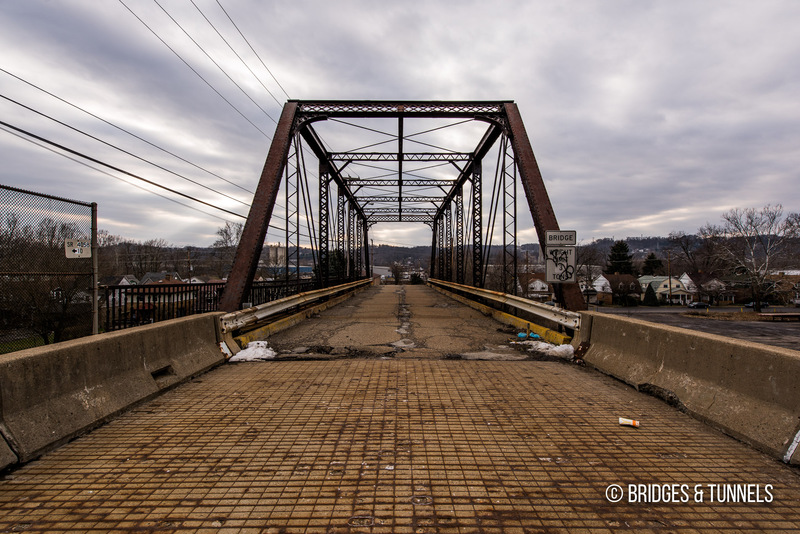 “Leetsdale span could become ‘bridge to nowhere. '” TribLive, 16 Oct. 2013. Cherry, Bobby. 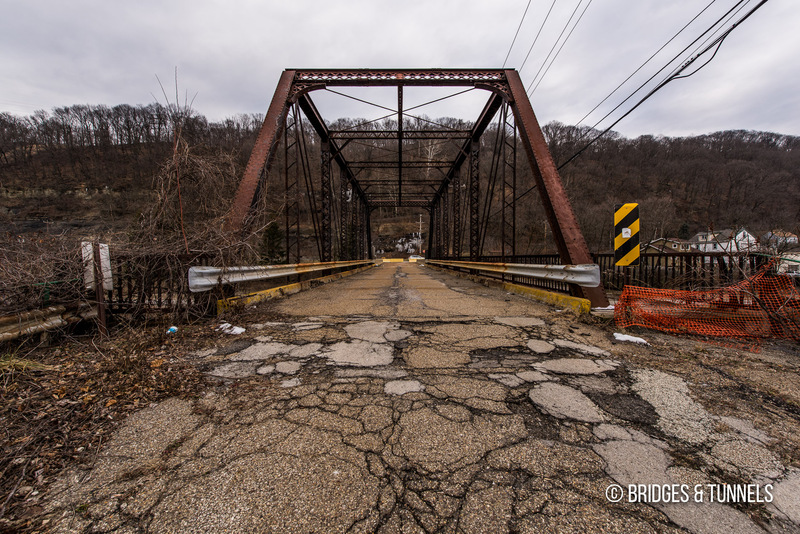 “Leetsdale residents fear bridge closure leaves them without escape route.” TribLive, 15 Jan. 2015.